There’s a good chance you are already familiar with the general idea of asset protection thanks to your domestic investment activity. Protection of this type involves the use of legally recognized strategies for arranging your holdings so that the amount of tax liability is kept to a minimum and the assets are relatively safe even during adverse circumstances that would threaten to undermine your financial security. 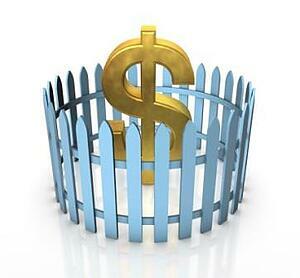 Just as utilizing those methods are important at home, you also want to engage in asset protection offshore. In order to do this effectively, it helps to determine the scope of protection available and decide which of those approaches are in your best interests. Is Asset Protection Offshore Necessary? Some investors work under the misconception that just because assets are held offshore they are not as vulnerable as domestic investments. That is not the case at all. While the type of risks may be a little different, there is still the possibility of running into financial problems that could threaten the integrity of those investments. For this reason, it pays to consider how you can preserve and protect your assets in an international environment. One prime example of why asset protection offshore is a good idea has to do with protecting assets from seizure in the event you undergo some sort of financial reversal and cannot honor a debt obligation. Without the protection, there is a very good chance the creditor would be able to gain control of those assets and sell them in order to pay off the outstanding debt. Assuming they are wrapped into some sort of global life insurance plan or held through an asset protection trust, those particular assets would be considered exempt. This means that even if you lose everything else, those assets will remain intact and capable of generating revenue that provides you with the basis for rebuilding your financial empire. What Type of Assets Can Be Included in a Protection Plan? Depending on the banking laws that apply in the nation where the account is based, several different types of assets can be protected. For example, you may choose to go with a variable universal life insurance plan and wrap assets such as stocks, bonds, real estate and maybe even precious jewels into the plan. The structure of the insurance plan and the laws that govern the administration of that plan will specify the types of assets that are eligible for inclusion. How Does Asset Protection Figure into My Estate Planning? Part of any investing strategy is likely to include providing for loved ones in the long term. When it comes to asset protection offshore, you can use this approach to make sure certain assets will generate wealth for your beneficiaries when you are gone. Depending on how the protection is structured, those held assets may be sold and the proceeds paid out as death benefits to those beneficiaries. This is often a favorable arrangement since it helps to minimize the amount of taxes they will owe on the funds received. From this perspective, the protection strategy ensures that each beneficiary gets to keep more of the generated funds and still be in a position to honor the reduced tax debt. As with all of your offshore investment activity, it pays to compare different approaches to asset protection and identify the one that provides the advantages you seek. Look closely at the banking laws that will govern the approach and be sure you understand your rights and responsibilities under those laws. From there, choose the assets to include in the coverage carefully. With the right type of planning, you will be able to use this approach to control your tax obligation and provide a sizable legacy for your loved ones at the same time.